First real quick, this is from a photo I took at the Gold King Mine in Jerome, AZ. Second, I've been on Facebook for a while, but I am now ON Facebook. My plan is to post behind the scenes stuff there, sneak peeks at new paintings, photos of me dancing on tables at workshops ... stuff like that. So if you're interested, please like Carol Marine Art. Today I posted some process photos for a painting I haven't posted yet! Great painting and especially old yellow in the middle. 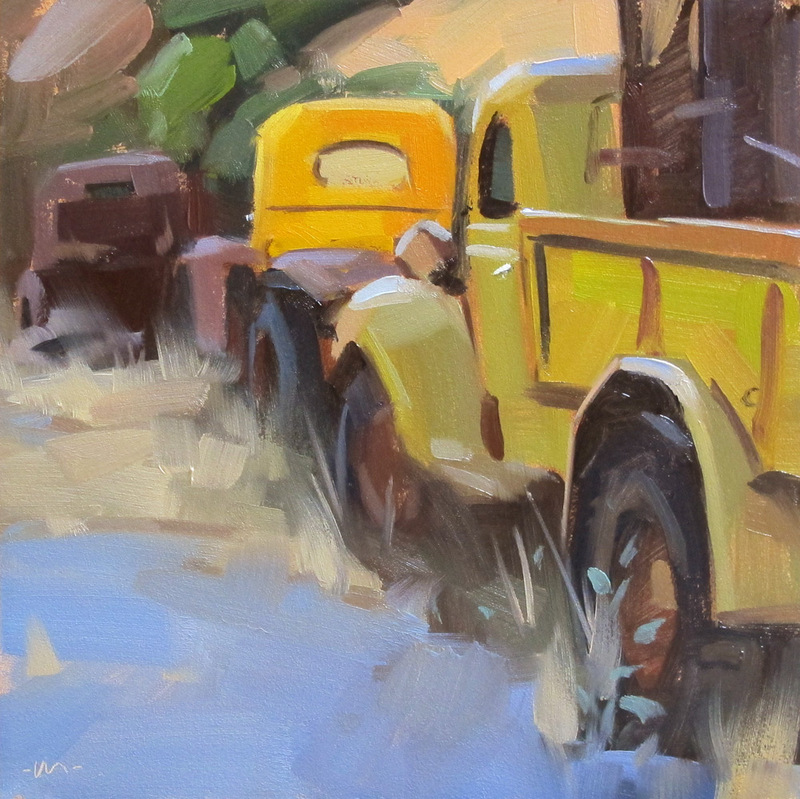 Colors caught my attention right away as well as the shapes of the trucks. What a fun composition even if you're not a truck person. I'm driving over to your FB page now too.